Welcome to the Teton Valley Crowdfunding Platform. Through the power of human networks, we aim to help great ideas happen in our community! Great ideas, from a startup business on Main Street to a new gadget or a new playground, need funding. 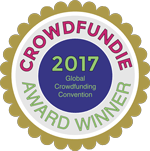 The crowdfunding tool raises that funding through small donations from many people – the crowd. The Teton Valley Local Crowd is now accepting applications for the spring campaign cycle, until March 10, 2017 (see the Request for Proposals). To apply, click on the ‘Submit A Proposal’ button above. If you are not ready to champion your own campaign, then join the crowd by signing onto our email list (Join button above) and friending our Facebook page. Crowdfunding is the practice of sourcing small contributions from a large number of people to provide funding for a particular project or campaign, usually via the Internet. Teton Valley is one of a dozen or so communities that will be provided with a crowdfunding platform (the internet site where campaigns reside) by The Local Crowd, a Wyoming organization that has received a grant from the United States Department of Agriculture to pay for the platform licensing fees and to provide associated training to communities like ours. The Teton Valley crowdfunding platform is being hosted by the City of Driggs and managed by a team of “campaign curators” from the Teton Valley Business Development Center, Teton Valley Chamber of Commerce, Downtown Driggs Community Association and Community Foundation of Teton Valley. Additional “campaign advisors” are signing up to provide volunteer assistance to campaign creators. If you are interested in learning more about being a campaign advisor, contact the Platform Administrator: Doug Self at dself@driggsidaho.org or 208-354-2605. Platform Mission: Our mission is to provide a crowdfunding platform for everyone across our diverse community to use for sharing ideas and empowering each other’s interests in ways that strengthen Teton Valley’s economy and quality of life. The project is located in Teton Valley (including Alta, Wy). The project proposes a measurable benefit to the local economy and/or improvement to the quality of life in Teton Valley. This page contains our guidelines for campaigns and an overview of the process to create, launch and manage a fundraising campaign. Along the way, helpful resources are provided via hyperlink. More information can be found in the About Us tab. Mission: Our mission is to provide a crowdfunding platform for everyone across our diverse community to use for sharing ideas and empowering each other’s interests in ways that strengthen Teton Valley’s economy and quality of life. The platform’s campaign curators and advisors will guide you through the process to create, launch and manage a campaign and offer assistance along the way. A workshop will be scheduled to review the process and following topics in more detail. It is typically about a 2 month process from start to launch of the campaign on the platform (Discovery to Live Fundraising in the timeline below). It is required that you have a team of at least 3 people (including yourself) to work on and provide marketing for your project. A crowdfunding campaign consists of the Project Description – a written narrative and typically an accompanying video that describes your project, along with your Fundraising Goal, Campaign Timeframe, optional Rewards that are available to those who support your campaign, and your Marketing Campaign. If your crowdfunding proposal is selected you will be expected to complete these workbooks prior to launch of the campaign. The project description is the place to tell your story. Why should donors support your project? This is the place to be compelling and really sell your campaign. Craft a narrative that others can understand and relate to. This should be detailed, yet concise. All campaign content must represent Teton Valley in the best possible light. Please be sure that both your video and your copy talk about how this campaign will benefit the community. You should be considerate of people, businesses, or organizations that you mention in your description and/or video. Make sure they know you are mentioning them. The Platform Host and Designated Curators may suggest revising goals that do not seem attainable or do not have a solid marketing plan to back them up. Rewards can be anything (they don’t even need to be tangible items.). The can be experiences, services, items, shout outs, event tickets and so on. The Local Crowd Teton Valley platform also offers Sponsored Rewards (rewards donated by another person or business). These Sponsored Rewards show up in the Marketplace on a campaign’s page. A business offering a sponsored reward can benefit from the exposure on the campaign’s marketplace or it might be a discount that brings in customers. Crowdfunding isn’t magic—it takes work! It is best to be prepared with a well-crafted marketing plan. Before your project launches, stakeholders who will be interested should be identified and ideas of how you will promote your project should be generated. This is to be carried out by the project leaders and their team. Team members are encouraged to utilize social media and other outlets to reach stakeholders within your field. The Campaign Description will be reviewed to ensure that the project described fits with the mission and campaign criteria for the Teton Valley platform. Rewards (if proposed) will be reviewed to ensure they are reasonably priced and have clear descriptions.